Mbweha Camp is nestled up against the southern border of Lake Nakuru National Park with beautiful views over the Eburru and Mau ranges. Congreve Conservancy is part of the greater conservancy area called Soysambu which has a large part of Elementaita within its borders. 10 Rustic lava-stone cottages with thatched roofs are surrounded by euphorbia candelabra, yellow barked acacia and other indigenous trees. 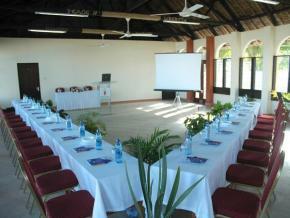 Mbweha Camp is only a few hours from Nairobi, yet feels right away from it all with its relaxed atmosphere. Being situated outside a National Park allows many activities, including walking, mountain biking and night game drives. 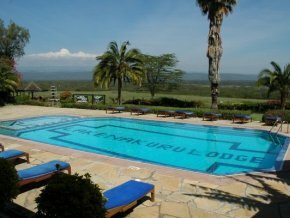 Guests can also enjoy day trips into Nakuru National Park with the option of a gourmet bush lunch with spectacular views of the Lake and the National Park.